Seems like the secret’s out - prominent internet startups across Southeast Asia, including Shopee, Carousell, HonestBee and Shopback, are all increasingly prioritising Taiwan to not only tap into its sizeable digital economy but to also leverage its high-tech talent pool. In this past half-year alone, tech companies such as Google, Microsoft and IBM have earmarked Taiwan as a regional R&D hub for cultivating cutting-edge technologies like AI and blockchain. The AI revolution has arrived and has triggered many conversations. 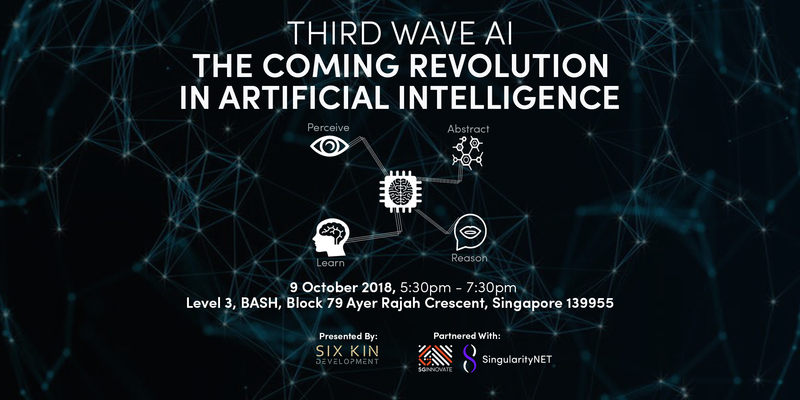 As such, the objective of the Future of Artificial Intelligence is to help educate the public on the emerging trend of artificial intelligence as well as provide them a platform to learn more from industry practitioners. 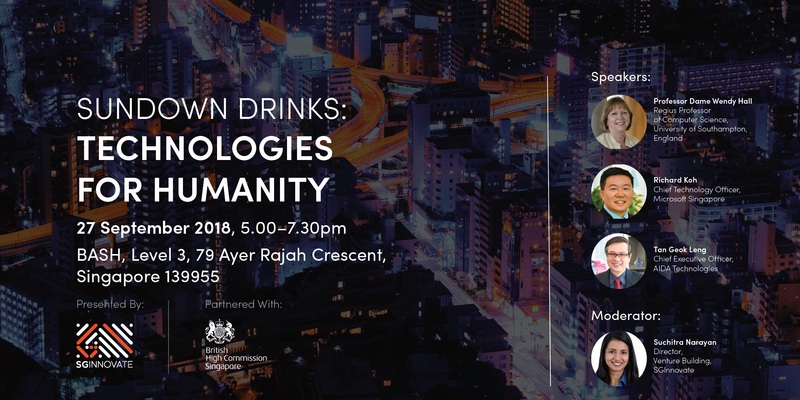 This event focuses on possible applications of AI technology in various industries and its impact on the future of work. Recent decades have witnessed the remarkable progress in artificial intelligence (AI). However, there are still opposing views on the prospect of AI as being yet another cyclic hype or a new development with sustaining power. As the evidence becomes less controversial in the area of recognition, we focus the discussion on the next level of mental capacity necessary to intelligent behaviors, namely, the capability of cognition that involves knowledge acquisition, inference and reasoning, and reinforcement learning. We present our views by way of the current status of Microsoft Academic Graph (MAG), a project in Microsoft Research that teaches machine to obtain knowledge by reading scholarly publications, and contemplate what machine can do in the near future based on the trajectory being observed thus far. As MAG is open to the public, how it can be used through PySpark and what types of applications it has enabled will also be described. 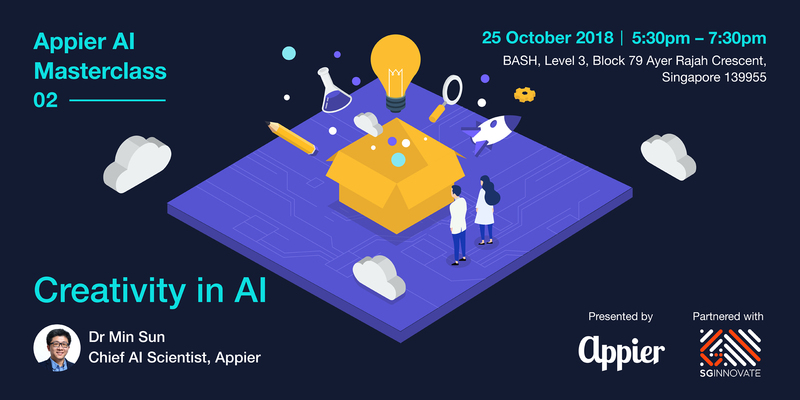 At the second Appier AI Masterclass, Dr Min Sun, Chief AI Scientist at Appier, will discuss the current capabilities and future potential of Artificial Intelligence to generate creative outputs. Dr Sun will share the research trends in this direction and what his extensive research has uncovered. 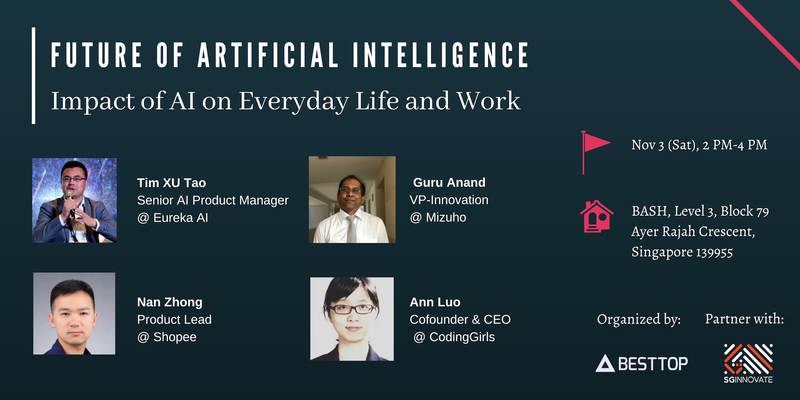 Finally, he will show how he applies this knowledge at Appier, and how to effectively use AI and deep learning in the creative process. 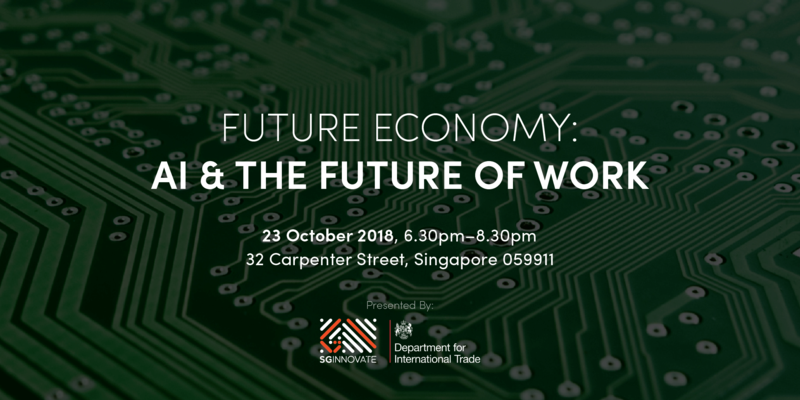 The future of work is increasingly becoming a reality with Artificial Intelligence (AI) set to deliver step changes in productivity last witnessed with mass production in the 1920s – only this time across multiple industries and sectors. 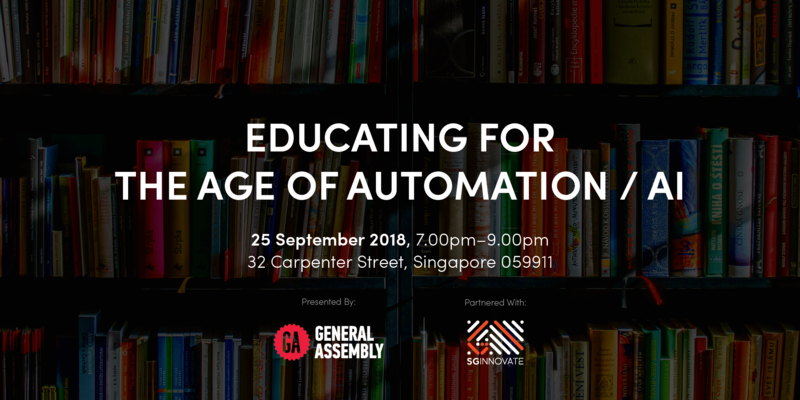 Explore the intersection of coding and data with General Assembly and SGInnovate. 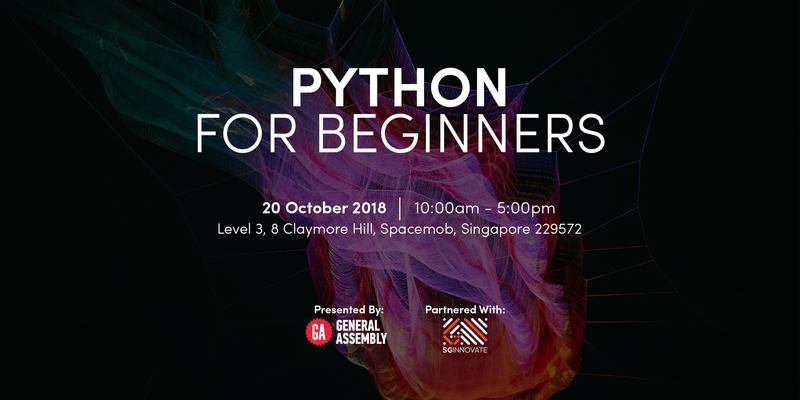 During our Python-focused introductory workshop, you’ll learn to harness the power of an essential programming language for data scientists. 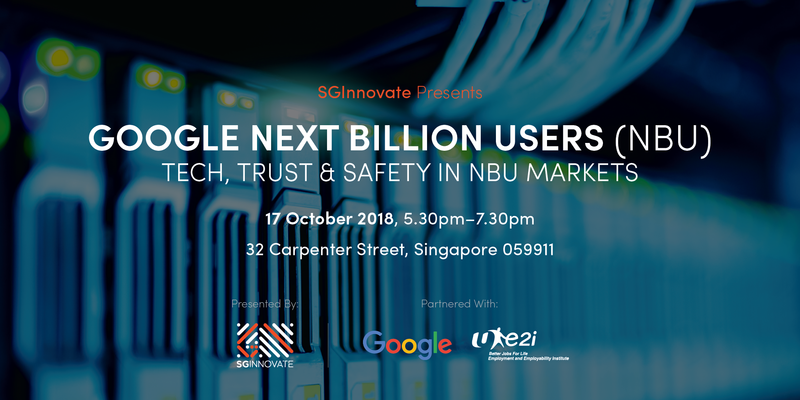 At this 5th edition, we will focus on Tech, Trust and Safety for NBU Markets. In NBU markets, users often face unique "cultural" challenges when it comes to access, content, community, privacy and safety. Discover why as we share insights from our team’s work in our NBU markets. Learn about the opportunities we have to create gender equitable, safer products, content programs, and marketing initiatives. 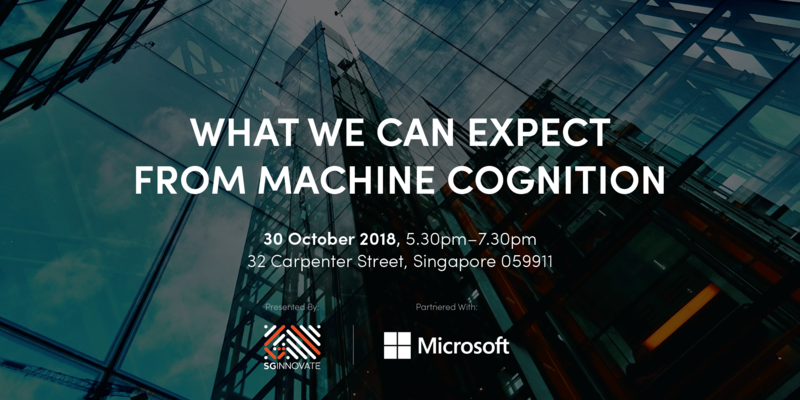 Artificial intelligence is everywhere, driving a multi-billion dollar industry and radically changing how businesses operate and how people work and play. Yet as powerful as it is today, major limitations are holding back the realization of AI's true capabilities. 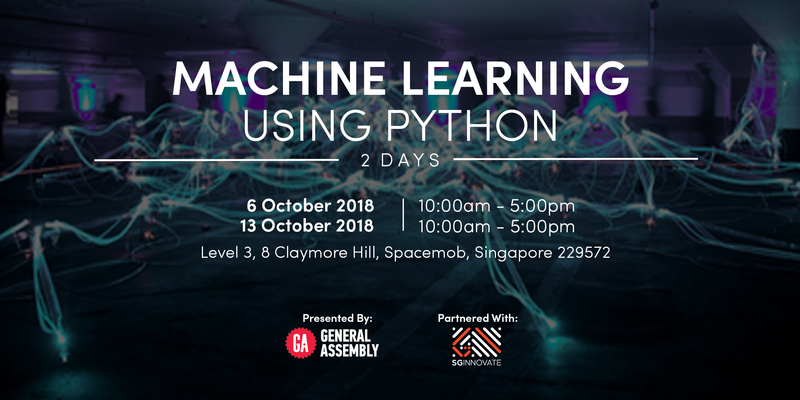 This two day workshop will introduce students to data exploration and machine learning techniques. Students will learn about the data science workflow and will practice exploring and visualising data using Python and built-in libraries. Students will also explore the differences between supervised and unsupervised learning techniques and practice creating predictive regression models. 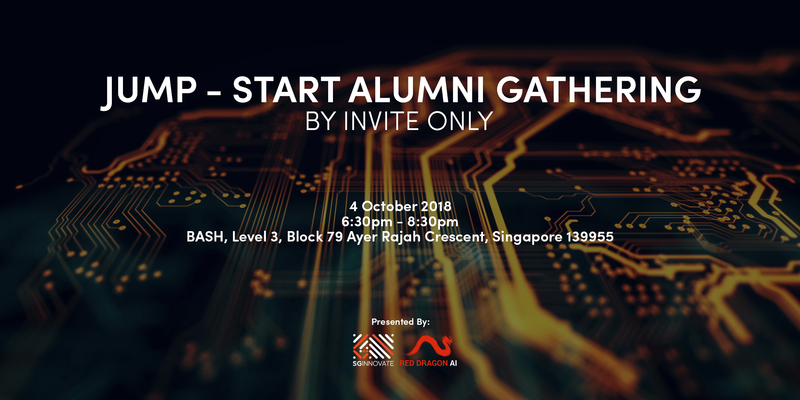 Calling all our Jump-start alumni as we come together to explore and talk about the current state-of-the-art technologies in Deep Learning. Building upon the foundational knowledge in module one, Dr Martin and Sam will teach and touch on advanced deep learning in Computer Vision and advanced Natural Language Processing, Text and Sequences. How do we prepare students for jobs that don’t yet exist, using technologies that haven’t been invented, in order to solve problems we don’t yet know are problems? How do we prepare all students, particularly those from low-income backgrounds, for a changing job market? What skill sets are needed for students to be ready and prepared to succeed in the jobs of today’s economy and those we can’t yet imagine?